Colour: Dark red, violet and purple. Palate: Hearty, full flavored, ripe. Food Pairings: This wine works best with lamb, beef, pork, game, most fowl, bread or pastry enclosures, and pizza or hamburgers. 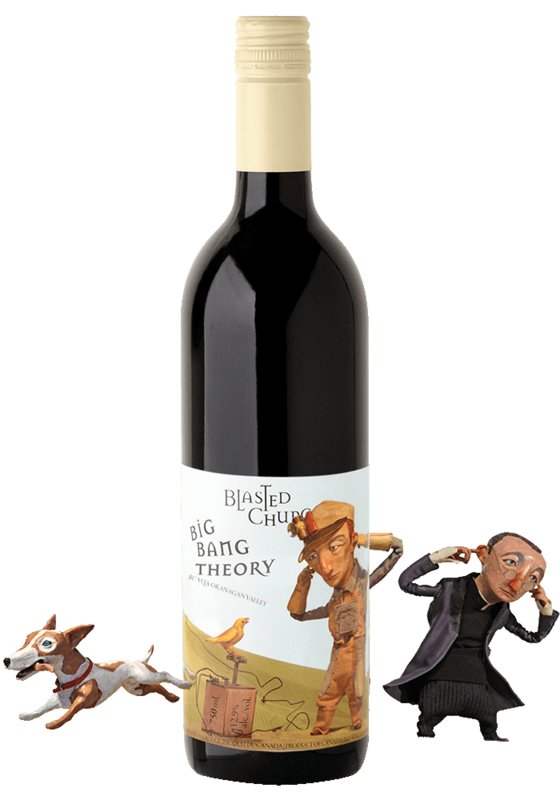 Winemaking: This is the 5th vintage of Big Bang Theory and each year we hold true to our belief that crafting this blend produces a more compelling and complex wine than a single varietal wine. Each lot of wine is carefully selected based on the characteristics of the fruit and the result is a wine that offers minimal tannins, good fruit and oak structure, approachability and exceptional value.